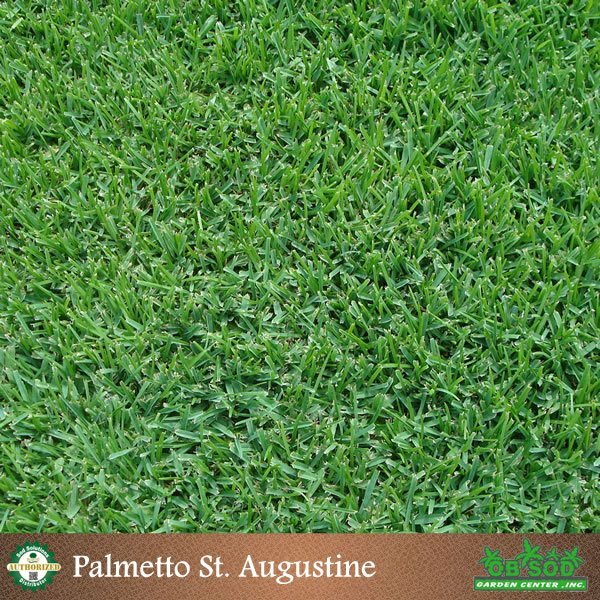 Palmetto St Augustine is available in both 400 and 500 square foot pallets. Allow 3 days for delivery. Please select the correct sod delivery zone during checkout. For more information see policies. Great for shady locations with irrigation. The St. Augustine family of grasses performs very well in the Florida area. It is highly competitive against weeds, usually smothering them. 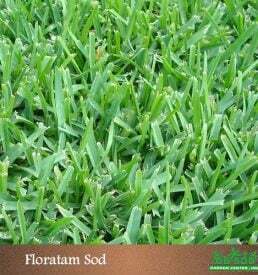 St Augustine sod does well in diverse soils, under salt stress, and in moderate shade. However, even the shade tolerant grasses such as St. Augustine Classic require 3 to 4 hours of sunlight per day to survive. For this reason, we do not warranty sod planted in shady areas. The outlined steps below are proper care and maintenance checklists for each of the seasons. Prior to and immediately after installation: Prepare soil and water thoroughly before sod is placed (additional info at www.sodsolutions.com.) It is essential that turf be watered thoroughly when installed. Soak upon installation and water as needed to keep new sod from drying out. Overwatering for an extended period, however, will severely damage the turf, inducing disease and rotting roots. 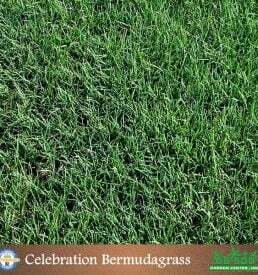 It usually takes 7–10 days during the active growing season for the sod to establish, but may take longer during cooler weather. Proper rooting can be checked by lifting a corner of the new sod piece and noting if “white” roots have connected to the ground. Mow the new sod 7–10 days after installation. Have your soil Ph level tested every other year and add the necessary amendments. Always read and follow label instruction information before applying any chemical to your lawn. Keep Palmetto mowed between 1.5-2.5 inches. Apply fertilizer. A general recommendation would be to use a 2-0-1 ratio variety, like a 16-0-8. This promotes the overall health of the grass. Treat with a broad-spectrum insecticide. If you use a granular variety, make sure to water the lawn immediately after application to help it get it into the soil. Make sure it offers control for chinch bugs. Don’t overwater. In the active growing season, Palmetto needs about one inch of water a week, either from natural rainfall or irrigation. Too much water can cause fungus. Apply fungicide (if needed). If you have had a fungus or disease in your Palmetto in the past or have quite a bit of shade in the yard, you want to apply a systemic fungicide to prevent future outbreaks. When mowing, never remove more than 1/3 of the leaf blade with each mow. If you remove more than that, you will stress the grass and it will go brown for a short while. If you go on vacation, you may have to mow a couple of times to get the grass back to its desired height. Wait about 3-5 days between each mowing. Be careful not to over water the grass. Remember Palmetto only needs about 1 inch of water weekly. Water for longer periods of time, less frequently and in the early morning hours. Always take rainfall into consideration. Apply “winterizing” fertilizer. A general guideline would be something with a 1-0-2 ratio like an 8-0-16. Apply fungicide. 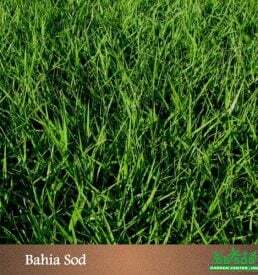 This will help the grass enter the colder months in a healthier state. If you have had fungus before, you may need multiple applications in the affected areas. Treat with broad-spectrum insecticide. If you use a granular variety, make sure to water the lawn immediately after application to help it get into the soil. Make sure it offers control for chinch bugs. You will mow less in the cooler months of the fall. Leave your Palmetto St. Augustine lawn slightly higher than normal to encourage deeper root growth for winter. Basically adjust your mower settings to go up one notch. Water less. 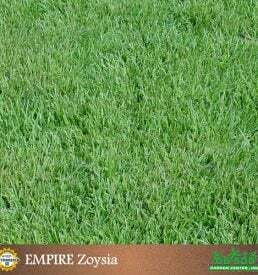 As temperatures drop grasses don’t need as much irrigation so adjust your schedule accordingly. Too much watering can lead to a lawn disease. Maintain your Palmetto lawn…mow and water less in the colder months.